Living… in Chicago with his wife. At least, he used to, before he went to jail because some “hot shot” lawyer convinced a jury he murdered his wife. Then Richard started living in the Cook County Jail, which was a definite step down. He broke out of there first chance he got. That's what started this whole mess. Profession… surgeon at the University of Chicago hospital. He was where he belonged – around top-trained medical professionals and state-of-the-art equipment. The chief resident assisted him. They worked so intently, saving lives every day. Now he spends his days on the run. Interests… running. He has no free time. 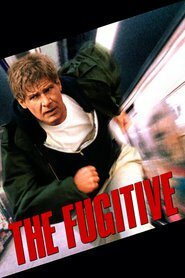 Every second counts when you're a fugitive from justice. Except he’s not – there was no justice in his case. That's why he felt no guilt in leaving that train wreck. He had to take his life back. Relationship Status… devastated. His wife was murdered, and Richard had to take the blame. How can there be any love in his life when he’s spent the last three years in prison for a crime he didn't commit? The only things he loved were his wife and his job. Both of them were taken from him senselessly. Challenge… convincing everyone that he was framed, that he didn't do the crime, and that he knows who the real killer is. Frederick Sykes is the one-armed man who killed his wife. He was coming to his house to kill him and decided to kill an innocent woman instead. Richard won't rest until he sees him dead or at least behind bars forever. Preferably dead. He deserves it at this point. Personality… relentless. Some would call him lawless but they don't understand that even the law has cracks in it. Richard won’t give up when he knows he’s right; his story’s been straight from the beginning. He doesn't know how he managed not to give up before this. The memory of his wife, his memory of the real killer, those things keep him going each day. He’ll go to the grave defending himself, insisting on his innocence. Richard Kimble's popularity ranking on CharacTour is #2893 out of 5,000+ characters. See our top-ranked characters and read their profiles.